"Featuring chamber music by James Francis Brown, a composer of exciting, visionary and emotionally rewarding music. The Shakespeare-inspired Prospero?s Isle, described as lyrically suave by Paul Driver in The Times, forms the dramatic centre piece of this CD - qualities which are equally abundant in the Violin Sonata and the String Trio. Katya Apekisheva, Gemma Rosefield, Nicola Eimer, Tam?s Andr?s, Sarah-Jane Bradley and Classical Brit Award winner Jack Liebeck, deliver stunning performances in music which makes many emotional and technical demands." The booklet contains detailed information about each of the young players, and rightly so, as the performances are of remarkable virtuosity and conviction. They are clearly captivated by the music. Listeners will be too, for is spite of any slight reservations I might have, this collection of chamber pieces shows a composer of the utmost integrity, totally in command of the medium, with a voice of his own and an aural imagination to match. The disc is beautifully recorded and I recommend it warmly to any collector interested in the bewilderingly diverse world of contemporary music. 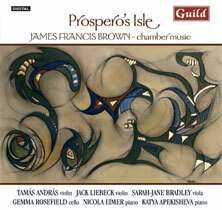 James Francis Brown is an English composer born in 1969. 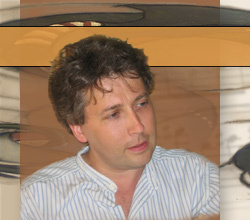 As with many of his British-Isle generation, affinities with such figures as Britten, Tippett, Maw, McCabe, Dodgson, and the brothers Colin and David Mathews are readily apparent in his music, as are more traditional influences from Walton, Vaughan-Williams, Ireland and Finzi, as well as more continental (and chromatically adventurous) sonorities inspired by (for example) Bartok and Berg. But Brown, who has chosen to write tonal music, has discovered his own kind of tonal music. Harmonies are at once luxuriant, subtle and fresh; rhythms are spun out with graceful suppleness yet seem unforced and spontaneous; the often-intricate figurations are cunningly worked (but entirely free of "contemporary" gimmicks), yet shimmering with verdant pantheism. Seldom does one hear new music that marries such daunting technical skill and virtuosic demands with so much ease and life-affirming joy, so much pleasure in unusual timbral layerings that (as Caliban tells us) "give delight and hurt not", so much exquisite delicacy and refinement. All is not, nor could be, sweetness and light. The central sections of Brown's 1996 String Trio's II, a 15-minute variations sequence, darken into unease, agitation and even, in the fifth variation - where Brown's typical active and teeming surfaces are briefly pared down to slow, lorn, hesitant single lines - into elegiac stoicism. But this is a brief and exceptional interlude. For the most part the Trio, as well as the 2004 piano Quartet, 2011 Violin Sonata, and 2006 cello and piano duo Prospero's Isle are serenely rapturous, their soaring and wide-spanning strophes inlaid with intricate filigree, their hovering and wafting and bounding allegros alive with the constant motion of a butterfly aflit in an airy golden glow of resonances, their more lyrical and contemplative moments tranquil and quietly inward. The interplay of line and texture as this music unfolds is especially enthralling. I've never heard timbral interpenetrations more diaphanous, more rarefied, yet better fitted to the instruments or more aurally fascinating. Just listen to the Violin Sonata's dancing and flickering central scherzo: the violin and piano are so amorously entwined they seem ecstatic pulsations of a single light-filled organism. Performances by all concerned are little short of miraculous: filled with love for the music, and rendered with unstinting warmth, tonal splendour and sensitivity. 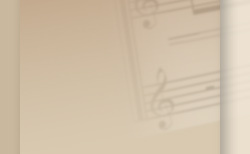 Guild's recording is a perfect complement: rich, airy, detailed, aquamarine-clear. This is an enchantment from beginning to end.